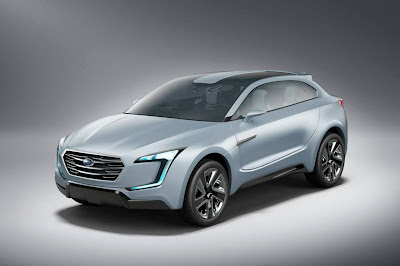 The Subaru Viziv Evolution concept, which was exhibited at the 2013 Geneva show, will be revealed at the 2013 Tokyo Motor Show in a closer to production form. The Viziv Evolution we saw in Geneva utilized a diesel-hybrid set up, whereas this iteration is a plug-in hybrid that employs the same 1.6-liter DIT boxer engine in the Levorg concept. The overall design carries over, though, with the engine connected to a continuously variable transmission, one electric motor up front and two additional electric motors connected to the rear wheels. Technology is a big component of the innovative all-wheel drive Viziv Evolution concept, which will also come with a new autopilot system that previsions the future of fully-autonomous vehicles.